Apparently a Crytek employee got the upcoming shooter Crysis 3 running on the Wii U. However, this is not a sign that they are developing the game for the Wii U as they were just seeing what the console could do. The rumour also claims that the Wii U was able to run the game at 30-35 FPS in 720p HD. It was also claimed that the Crytek employee thinks the Wii U can run Crysis at 1080p HD if the controller is turned off. However, they were unable to test out that theory as they couldn’t turn the controller off with the dev kit they had. The controller itself is apparently able to stream the game at 480p. The game was said to have great lighting and particle effects on par with the PC version. If this is true it certainly adds new discussions for the Wii U ‘power debate’ but I would suggest that you take this rumour with a truckload of salt. Yes, I think the user in the original board doesnt have good reputation. But is not too dificult to believe somo of this. Now if they were to optimize it for the Wii U’s hardware, it could run at 1080p with the controller streaming. 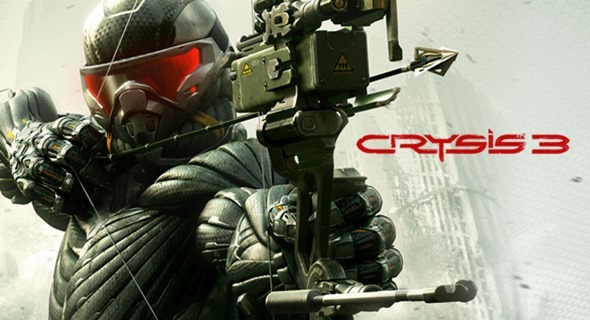 I wish they would put all three Crysis games on the Wii U. Those games would look amazing on the Wii U. Where is the source for this info? I wish they specified if it was a new or an old dev kit… I mean, I know that the tablet is kinda the new thing and all, but I don’t think they should force developers to use it if it won’t fit to their technical or artistic limitations/visions. Also, I dunno why, but I kinda assumed that the Wii U would be usable with just a Wiimote (and thus Classic Controller Pro, so no tablet), but then the Wii wasn’t usable with just a GC controller, so I guess only time will tell. of-course the wiiu is usable with just a wiimote type deal “”THATS THE WHOLE POINT! !”” have you not seen all last years E3 show and all the news since,its a multi controller device and the wiiu pad is a extension of the console not just its controller….